We are writing this letter to inform you of our First Annual Tim’s Tribute Golf Tournament. 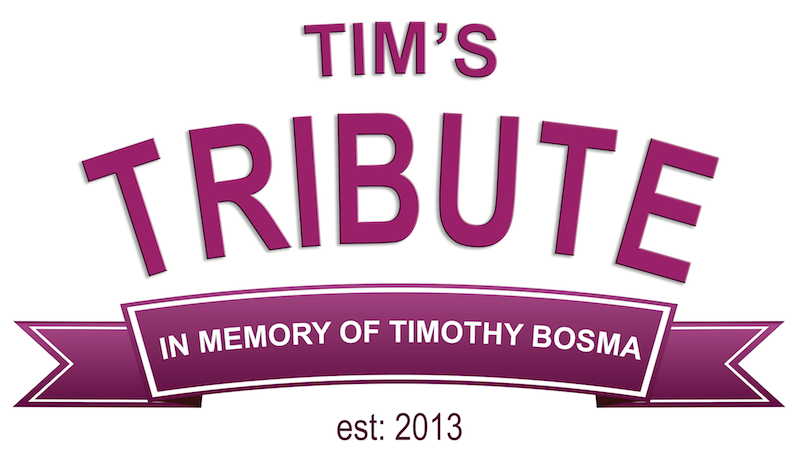 Tim’s Tribute is dedicated to providing assistance to the families of innocent victims of homicide. It was founded by Sharlene Bosma to honour the memory of her husband Tim Bosma, a victim of homicide. The publicity of Tim’s case has given us an avenue to address needs that have been in the background for so long. Most families receive very little assistance, almost no publicity, and often face a stigma in society, preventing them from receiving the assistance that they need during such a terrible time of loss. Sharlene Bosma and the Bosma family were surrounded by the love and support of a community. Tim’s Tribute will work hard to demonstrate that same love and support to other families who will experience similar tragedies. Your support is the key to helping us succeed. Thank you very much for your interest in sponsoring this important community event. Opportunity for staff to promote your company at the hole and hand out marketing material. Please email timstributegolf@gmail.com to set up a sponsorship.